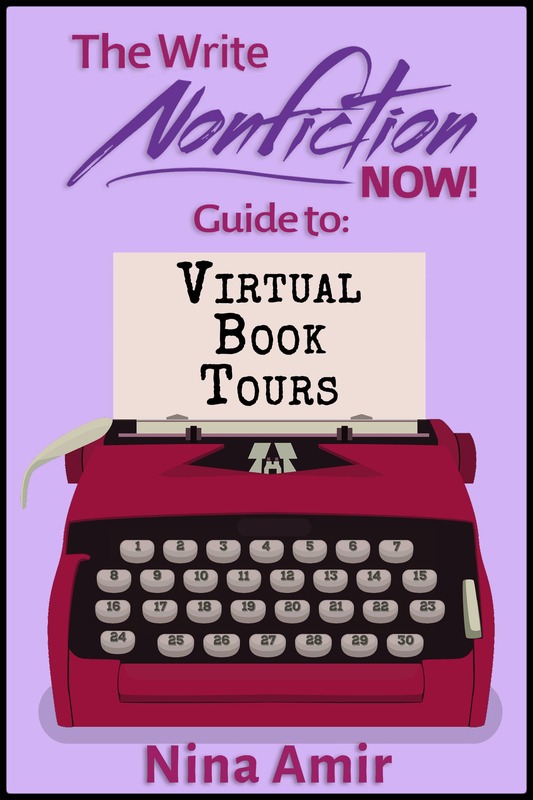 7 Simple Steps to Gain Visibility for You and Your Book - Write Nonfiction NOW! You can never start marketing your book too soon. That means you must create visiblity for yourself and your work. 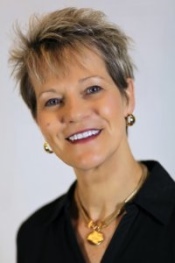 In today’s guest post, Kathleen Gage (@KathleenGage), an internationally recognized Internet marketing advisor, explains how to sell more books by getting more visible to your target audience. In the last fifteen years, I’ve been published in books dozens of times. If you count the articles in which I’ve been featured, I’ve been published hundreds of times in that period. With books, some of my works have been as the sole author. Other times, I co-authored books with one other person, while still other works were included in anthologies. Regardless of the type of book or genre, I’m aware that the better job I do on marketing, the better sales will be…in theory. It’s not just a matter of marketing your book; it’s how you market. With all the tools available to authors to help reach potential readers, there’s no reason any author can’t get great traction (and results) from their efforts. Granted, the more you do (of the right stuff), the greater results you achieve. It’s all about visibility…in the right place and at the right time. Ultimately, you market to sell books. The more visible your book, the more copies you are bound to sell…again, in theory. Books lead to speaking opportunities, consulting contracts, interviews, and joint venture partnerships. However, there are specific factors to consider when marketing your book(s). What social networks do your readers frequent? What motivates your readers to decide to buy your books and products and services? What is your readers’ pain point and does your book offer a prescription? What is your objective with your marketing? Are you committed to consistent efforts in your marketing and sales? It’s not just a matter of marketing your book; it’s how you market. One of the primary reasons you market is to increase visibility. You want to get your book (and yourself) in front of your ideal readers. Visibility is a result of the type of marketing you do. To get the greatest results for your efforts, look for marketing strategies that have a long shelf life. The more you focus on the long-term, the greater your results. Short shelf-life marketing strategies can be likened to a “flash in the pan.” Tweets and Facebook wall posts offer two examples of short shelf-life strategies. Granted, either of these options may create a viral post, but in most cases, that doesn’t happen. Not to say you shouldn’t post on Twitter and Facebook. I do it all the time, and I get excellent traction as a result. However, a long-term focus is essential to your success as an authorpreneur. Consider this: where are you leading people with the tweets? Are your Facebook posts strategically positioned? Do you have an integrated approach to your social media marketing? You want to get your book (and yourself) in front of your ideal readers. To gain the greatest results from your marketing efforts, put a plan together; don’t take a shotgun approach to what you do. Create an integrated plan with many avenues that lead to potential readers—an that provides them with the “buy now” button for your book. And start promoting your book as soon as possible. The best time to begin your publicity campaign is right now. No kidding! Don’t wait for the book to be published. There’s plenty you can do prior to the publication date, such as prepare your media kit, create a book one sheet, write a strong bio, develop media questions, get headshots, create book cover images, select a few sample chapters to give away, and secure endorsements. Many authors start promotion after their book is published. Avoid this common mistake. Start long before the actual publication date. Not only does the book need visibility, you do, too. If you’re book is already in print, no problem. Start right where you are. The more evergreen your topic, the longer your book-promotion period. The reality is this: Most authors do nothing to get maximum visibility for their books. They just hope it somehow ends up in the hands of readers. That explains why most books never sell more than a handful of copies. Regardless of where you are in the lifecycle of your book, it’s never too late to look for promotion opportunities. The more visible you are online, the better. 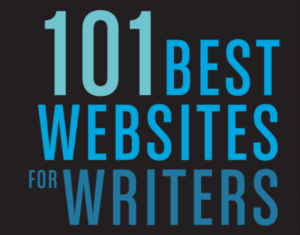 Virtually any author can build a strong online presence. You need only get your information out in the right arenas consistently. Strong visibility equates to more open doors. My first memoir is scheduled for release early next year. This means between now and then I have ample opportunity to lay an incredibly solid foundation for the book’s promotions campaign. This is my first memoir. Yet, this is not my first book marketing rodeo. 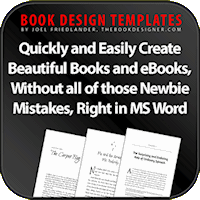 There are elements any author can implement to market a book regardless of genre. Over the years, I’ve consistently worked at raising brand awareness. As I prepare for the release of my memoir, I will continue to do these things and more. It’s the same with your visibility. No matter how visible you are, or are not, do something every day to position your expertise, your message, and your book. Build visibility with social media. The best way to get noticed by the media is to have a strong social media presence. Before taking a hit-and-miss approach to social media, determine where you can find your potential readers. For some authors, Facebook is perfect; for others, LinkedIn is more suitable for the genre of your book. Look for forums and social networks specific to where your market “hangs out.” For example, if your market consists of dentists, it’s likely Facebook is not where you need to spend your social media time. A location like Dental Town, an online community specific to the dental industry, would be a much better fit. There are online communities that cater to just about any industry and interest. It just takes a bit of research to find those that provide a fit. Position your expertise with content marketing. Content marketing is a “must do” in today’s online world of content hungry consumers. Content marketing is a strategic marketing approach tied into your overall digital marketing. It involves a focus on the creation and distribution of valuable content to attract your “sweet spot” ideal readers and clients. Content marketing is an ongoing process and one that requires consistent effort. For example, this guest post is part of my content marketing strategy. Identify radio and podcast shows that are a great fit for your book. A quick Google search with “radio shows + your topic” will result in lots of media opportunities.For podcast shows, visit iTunes and do a search for shows that fit for your topic or book title. Keep a running list of radio or podcast show information. Your list should consist of the producer, host, and show contacts. Most show sites will have this information available. Create a pitch for your book with great hooks that spark the interest of the show contact. To pitch your idea, you can send a media release. Often a short email works better. When pitching your idea, keep in mind that the media is on constant overwhelm and doesn’t have time to wade through a bunch of information before getting to the heart of your message. Get right to the point. When seeking exposure for yourself and your book, avoid long emails with a bunch of back story before you get to the actual pitch. Present your idea with the audience in mind. Why will the audience be interested in what you have to say? After all, if you know what gets the audience excited, that will likely get the host, producer, or booker interested. Be consistent. 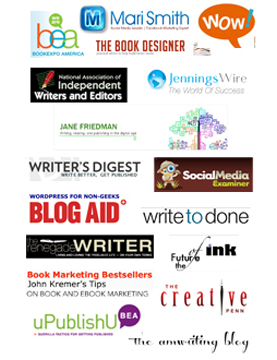 Many authors make a half-hearted effort at gaining visibility for their book(s). Lukewarm efforts result in lukewarm results. Commit to do something every day. The more committed you are to consistent effort, the greater your results. Here’s the bottom line: You have to put effort into your market visibility as well as how you reach out to the media. 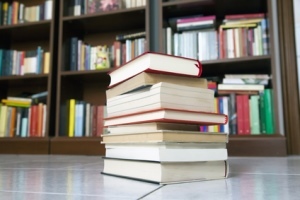 Many authorpreneurs avoid these important steps, and their book sales reflect this fact. Make creating greater visibility a part of your overall business practices, and you will be far ahead of those who “hope” to be discovered. You also can download this free 50-page report on how to Hit #1. 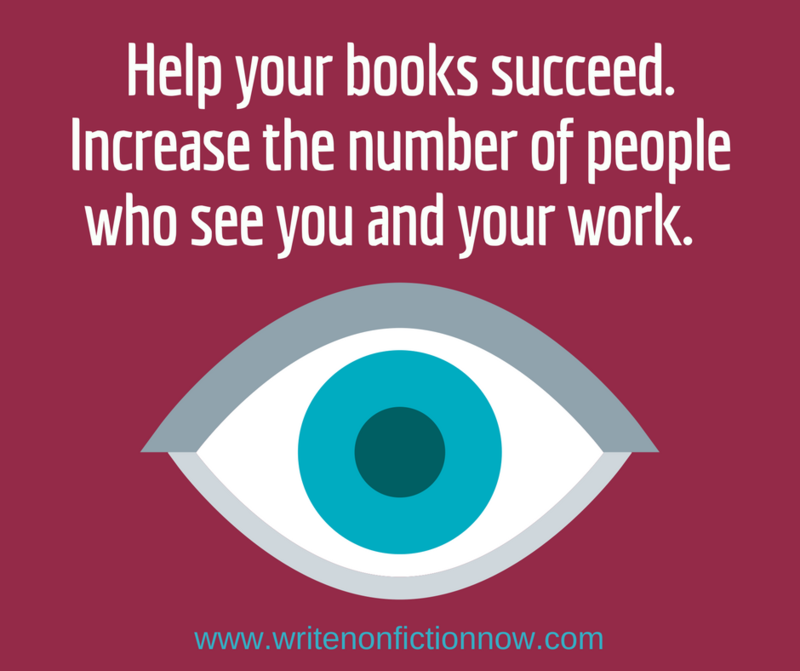 How are you gaining visibility for your books? 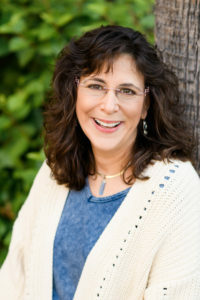 It is experienced and successful authors like Nina and others she brings to the table, that provide the essential help that new authors desperately need. Sharing the steps needed to be a more successful author or blogger is the motivation that keeps good writers on the right path. Thank you for readily sharing your expertise and making the road to success a bit easier to navigate. Wishing you all the very best of success. Thanks so much for your kind words, Howard! It is my goal to make the journey to authorship easier for others.